Most families who move to Whitefish are interested in open space and providing their kids (and themselves) with unparalleled wilderness experiences in a friendly, open community. 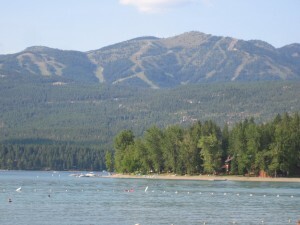 Whitefish is a heavily forested, small town in Northwest Montana about 30 miles from Glacier National Park.Surrounded by lakes – including Whitefish Lake and Flathead Lake – it hosts the Whitefish Mountain Ski Resort for year round recreational fun. Our neighbors include abundant and diverse wildlife such as grizzly bears, moose, elk, eagles and wolves.